Aikido is a martial art that, with regular, dedicated practice, develops self-defense capabilities against physical attack. Unlike most other martial arts, Aikido techniques are designed to end a physical confrontation without intentionally injuring the opponent. Because Aikido techniques are usually practiced with a partner, students learn how to accept the technique and take the fall safely and without injury. Aikido for Kids classes are taught in a disciplined, safe and supportive environment. In order to monitor the milestones of progress, students are given the opportunity to test periodically for increasing rank. Aikido for Kids Program is designed for children ages 6 to 13 years old. Parents may enroll their child/children any time. Hour-long classes are held three times a week: Tuesday and Thursday at 5:30 PM and Saturday at 9:00 AM. Students may attend any or all of the classes. $75 for the first month, which includes a uniform. Thereafter, the monthly fee is $60 for the first child and $50 for each subsequent child’s enrollment. If the parent chooses to join the dojo, the monthly fee is $145 ($95 for the adult plus $50 for the child) and an additional $50 for each subsequent child’s enrollment. For more information about the enrollment process or other questions, please email us at: dojo@southlandaikido.org. Why should I enroll my child in this Aikido dojo? Southland Aikido is a member of the United States Aikido Federation, which provides rank and instructor certification. We are dedicated to providing quality instruction in Aikido and to developing all of our members as martial artists and caring, productive members of society. We provide a positive and vibrant training environment for children and adults and encourage engagement with the dojo community for the whole family. A class begins with a bow-in process and then several minutes of warm-up exercises. This is usually followed by activities designed to teach ukemi (taking the fall safely). 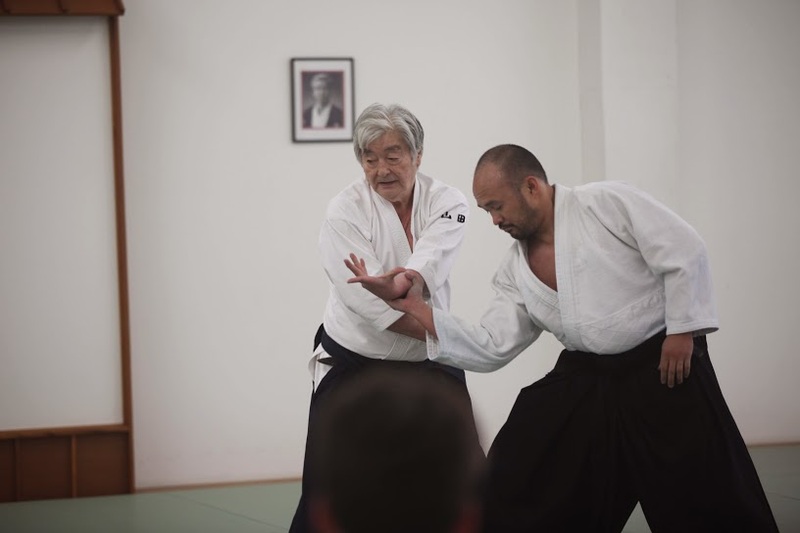 A significant part of the class will be devoted to Aikido self-defense martial art movements and techniques, often involving partner practice. Toward the end of class, students will usually participate in strength and coordination building (but also fun) activities, such as “frog jump,” “duck walk,” “snake crawl” and “ukemi tag.” The class will close with a bow-out process and the Thank You Circle, where students will form a circle and say thank you to each other for the practice. Who will teach the Aikido for Kids classes? The principal Kids Class instructor is Anna Ito, who has over 10 years of Aikido experience and several years of teaching experience. Anna-Sensei is supported by several other senior members of the dojo, including Chief Instructor Jim Graves, 6th Degree Black Belt with over 35 years of experience, who will be involved in many of the classes. What does my child need to start Kids Class? For the first class a child needs only to wear loose fitting “play” clothing with long pant legs. As part of the enrollment process, the child will receive a uniform (keikogi), which he/she can wear in subsequent classes.